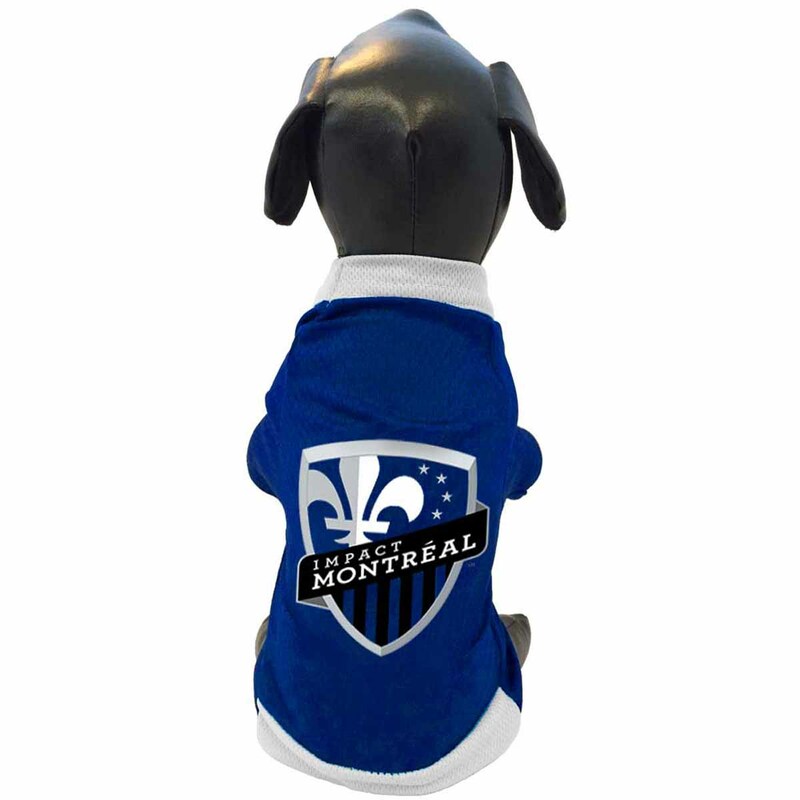 Cheer on your favorite MLS Team with the Montreal Impact Athletic Mesh Dog Jersey! Get your Soccer World Pup an MLS Jersey thats sure to score! Two-tone dimple mesh pet jersey with embroidered team logo. Made of 100% breathable polyester. Machine wash. Officially licensed product. Made in the USA! Hello, I just wanted to thank you and send praise for the speed of delivery and the quality of the Barking Basics hoodies that I received yesterday which was my first order and it won't be my last. I'm very happy with my purchase. The colors are beautiful and the material is nice and soft. My female has skin allergies and I keep her hair trimmed down to the skin so I can apply medicine cream. I keep her covered when we are outside (hot or cold) and PJs in the house. I will be buying more clothing from you. I own 2 furbabies a bichon frise(female) and a bichon frise mix(male) who loves to be in style. Happy Holidays and thanks again! !